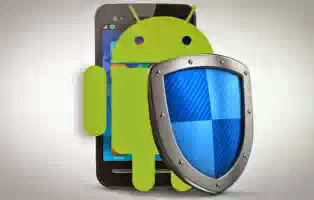 Top 10 Android Mobile Anti Virus - The Tech Evangelist! Top 10 Android Mobile Anti Virus - The Tech Evangelist! Often at times, We mistakenly or accidentally Download Malwares, viruses, spyware and other threats lurking behind apps and mobile websites into our Phones. This Is a Good Reason android users are adviced to download their applications from Google Play Because Goggle in February 2012 Launched a system which scans all new and existing Androidapps, as well as developers' accounts without interrupting theuser's experience but even at that, it can't always prevent malware from entering Your Android Mobile. Below, I Have made a Good list of AntiVirus recommended for android Users. Dr. Web Anti-Virus was rated second during Android operating system anti-virus assessments performed by av-test.org. This isa Free Light Anti Virus which offers Quick or full file system scanning, as well as custom scanning of files and folders specified by the user. Norton Mobile Security Lite with antivirus protects your Android phones and tablets from theft, malware and viruses. Remotely locate your lost or stolen device. Scan your new apps, SD cards, new downloads, and app updates for malware and viruses. Easily control the protection for all your devices through one website. Free, top-rated, real-time antivirus and anti-theft protection for Android™ devices. AVG AntiVirus FREE for Android™ protects you from harmful viruses, malware, spyware and text messages and helps keep your personal data safe. McAfee Mobile Security provides comprehensive security for your Android device. Protect your Android phone or tablet with award winning antivirus, privacy and security software from McAfee. Kaspersky Mobile Security Lite delivers essential anti-theft defense, allowing you to block, wipe or find your missing phone. You can also easily filter unwanted SMS texts and calls. Plus, Anti-Virus Lite with cloud-based security scanner alerts youto potentially malicious apps before they can harm your phone. Avast! Mobile Security keeps yourdevice safe from viruses, malware, and spyware. It helps you locate your lost phone through our web-based phone locate feature. Remote device lock and/or memory wipe in its advanced Anti-Theft component keep your data safe. Handy tools like network meter, app manager,and even firewall (on rooted phones) give you complete control of your mobile phone. Download it today – totally free,with no catch. Lookout offers essential protection against all the bad stuff that can happen to your phone or tablet, like malware&viruses, loss, and theft. Lookout’s security features areFREE, but for complete protection,upgrade to Lookout Premium. All downloads include a FREE two-week trial of Lookout Premium with no credit card required. At the end of the trial you can keep the free version of the app for as long as you like. TrustGo is a 100% FREE mobile security app that was ranked #1 by AV-TEST for providing the BEST Android Security ANYWHERE! TrustGo protects you from today's most dangerous malware and viruses PLUS apps that can steal your personal privacy, identity and data. In addition, TrustGo offers"Find My Phone"features including remote location, lock, alarm and"Candid Camera"thief ID (via email), system tools and web browsing security...all in one totally Free package. IKARUS mobile.security – the award-winning antivirus solution for Android protects your smartphone or tablet reliably against malware in apps and fromthe Internet. Find and remove viruses, trojans, spyware, adwareand other malware without impacting your battery or memory. Zoner AntiVirus® Free is a modern security and anti-virus solution for your device. It provides protection against viruses, dialers, trojans, worms, spyware, adware and other malware as well as phone call andmessage protection. This product has been developed in Europe where many good AV products like AVG, Avast, ESET, Avira or Kaspersky come from.